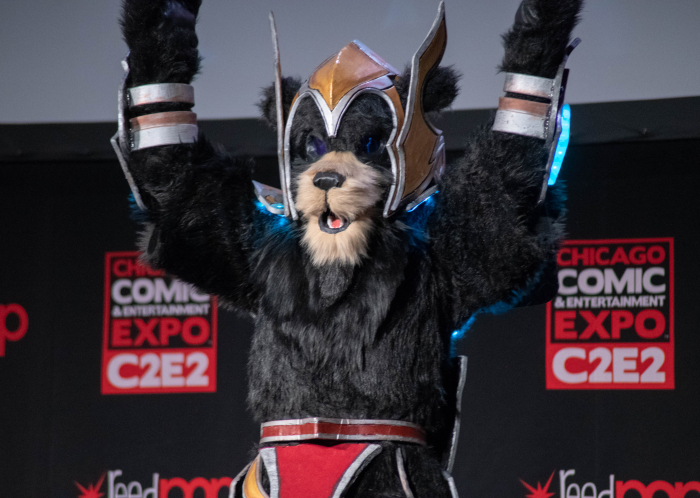 It’s no small feat to win the C2E2 Crown Championships of Cosplay. 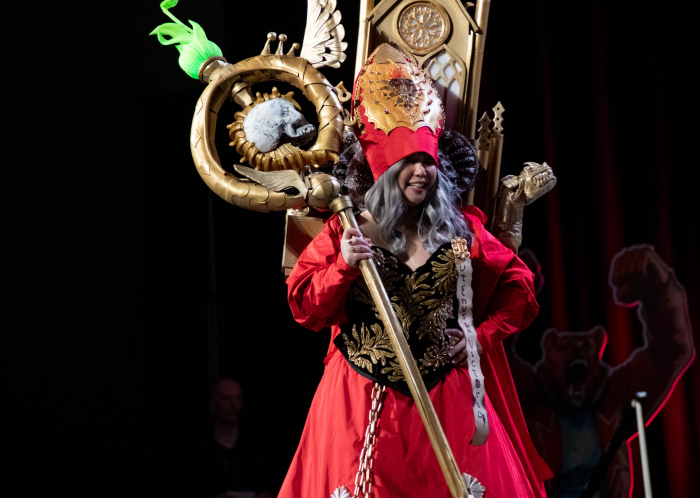 In fact, it’s no small feat to cosplay in general. 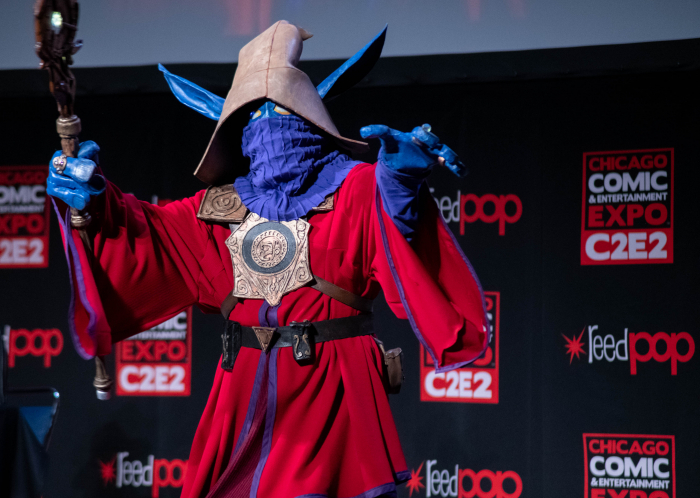 While you can certainly buy costumes to walk around in during your time on the floor at C2E2, Wizard World and GenCon, the community of cosplayers are at large, makers. 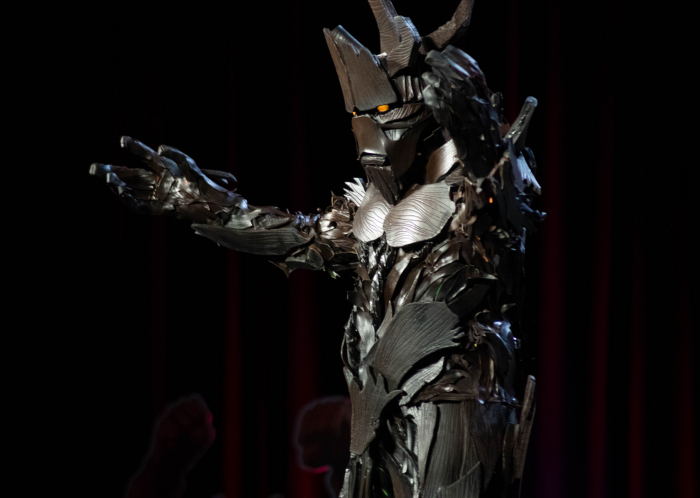 Out of necessity, out of cost concerns, and out of a desire to make. 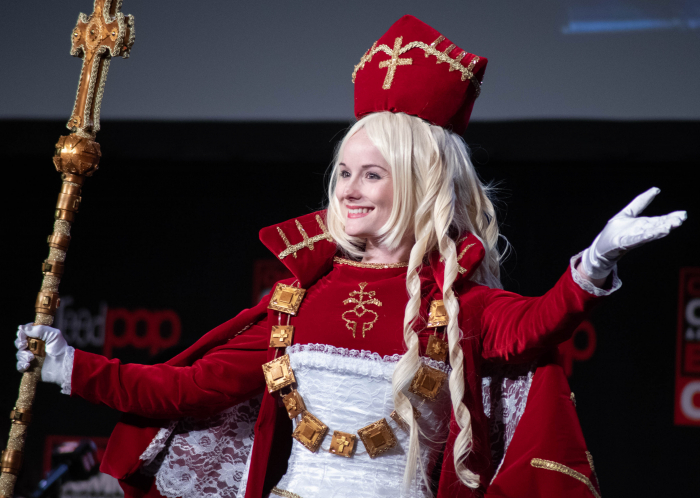 Many cosplayers start out small, fabricating things out of cardboard and using a lot of pre-bought pieces, and with any luck, have a great time showing off their efforts. 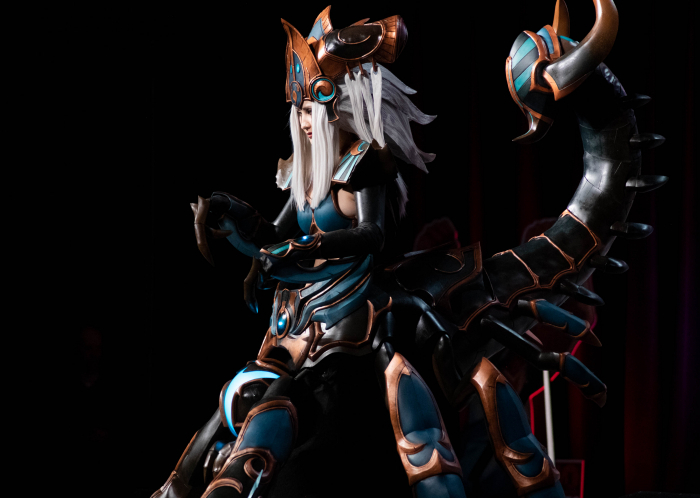 But once the bug has bit, so to speak, for some, it becomes a passion. 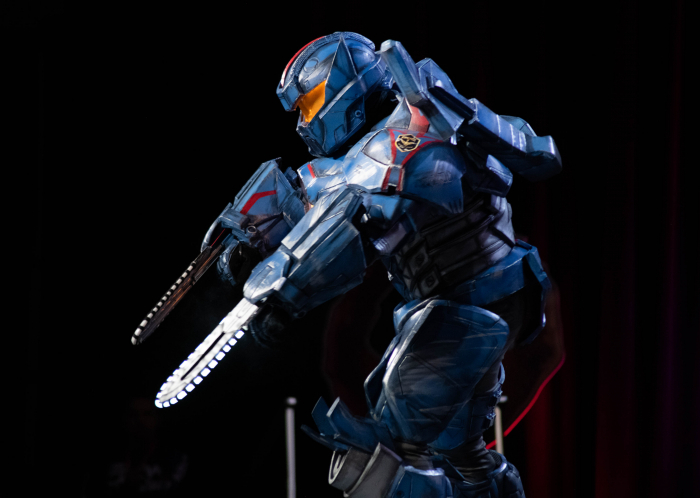 The costumes you see walking the general showfloor oftentimes take people months to prepare. 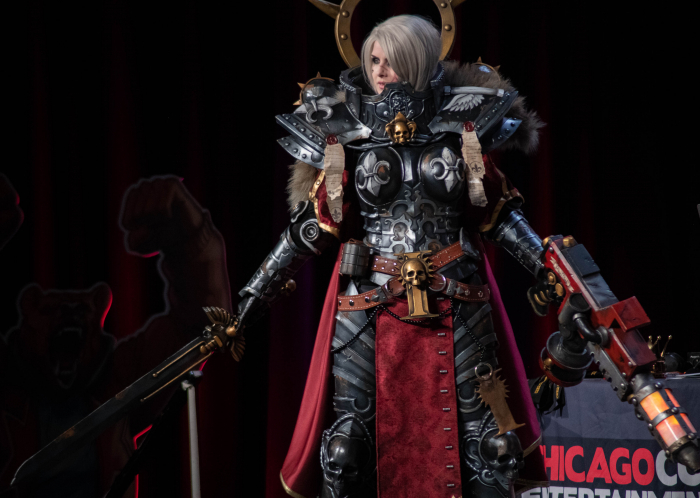 While you might not even have C2E2 on your radar until a month or even a week before, people start planning their next cosplay adventure just after the last one closes. 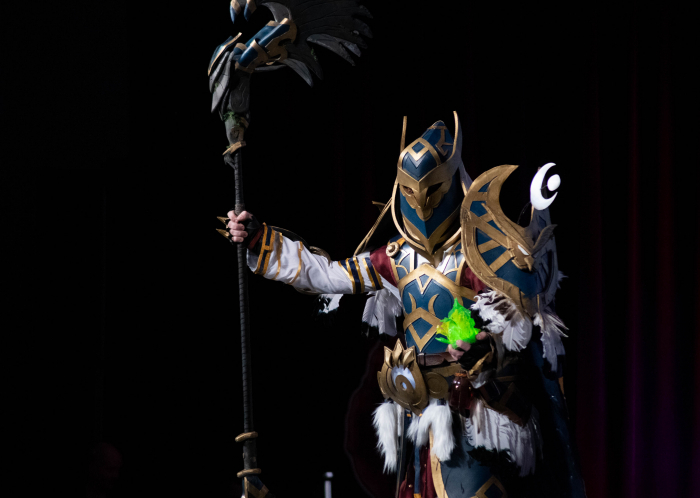 And, while you can cosplay “on the cheap” so to speak, oftentimes, handmade costumes can cost a hefty bit of money. 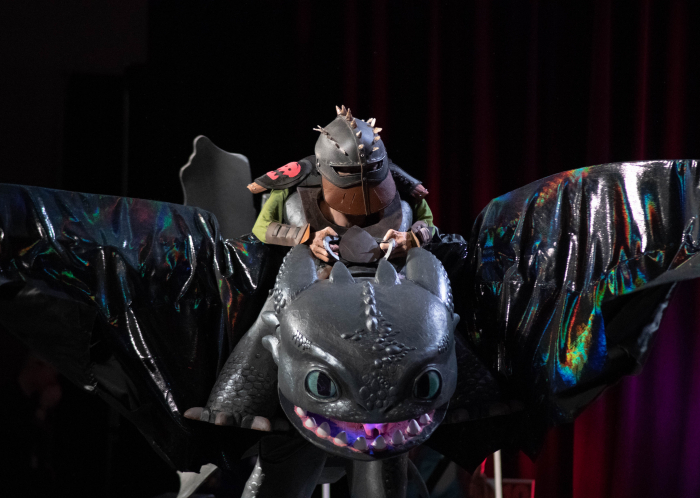 The fun, though, at least according to the people we’ve talked to who make this a regular part of their lives, lies in being able to bring the characters from some of your favorite things to life, and to see and be seen in the community. 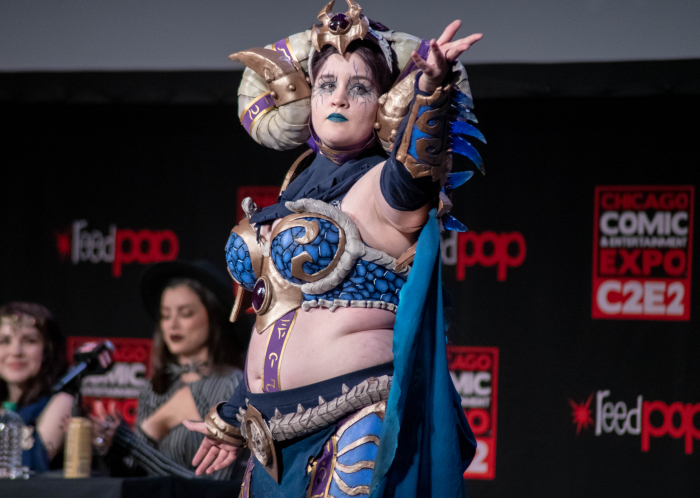 C2E2 Crown Championships of Cosplay. 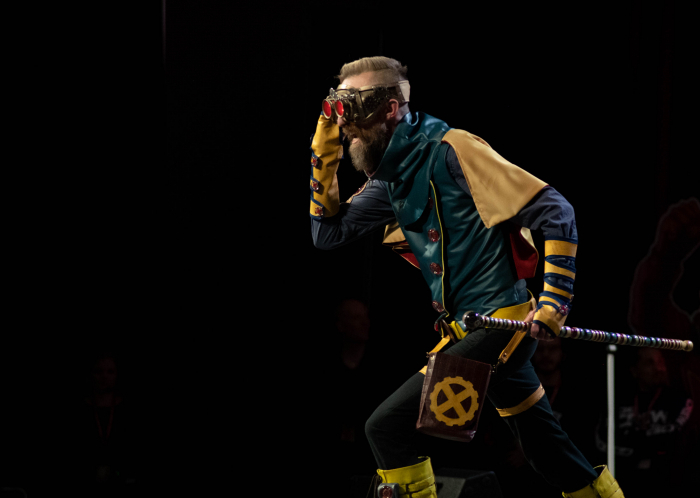 Photo: Aaron Cynic. 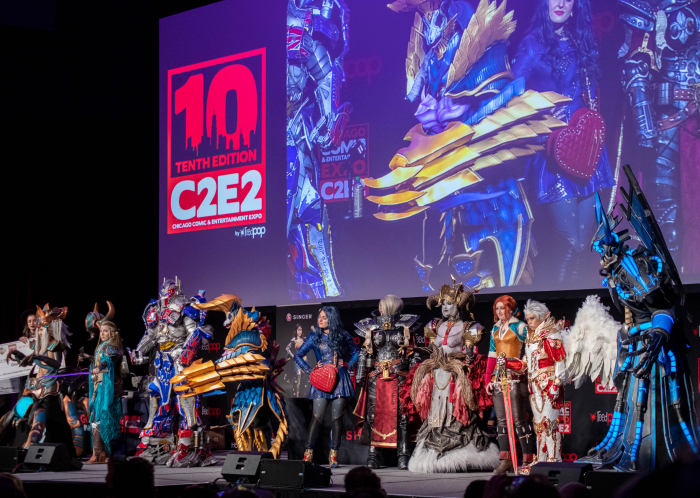 The C2E2 Crown Championships of Cosplay is special, because it represents some of the best cosplayers in the world. 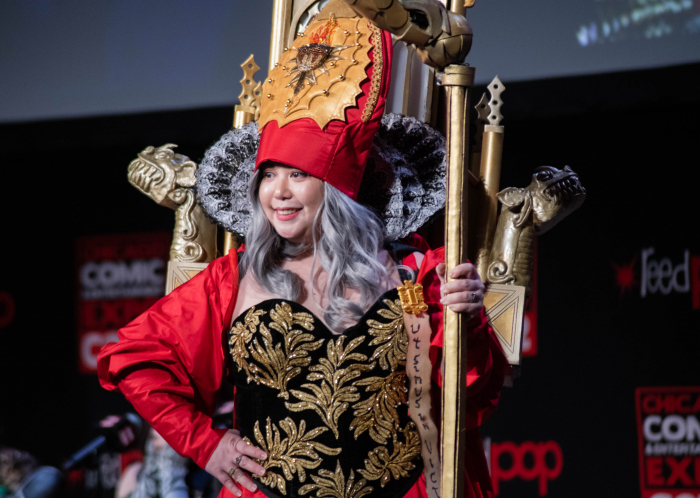 ReedPop’s circuit of conventions isn’t just local to the US, but includes India, London, Melbourne, Seoul, Africa and other far flung locales. 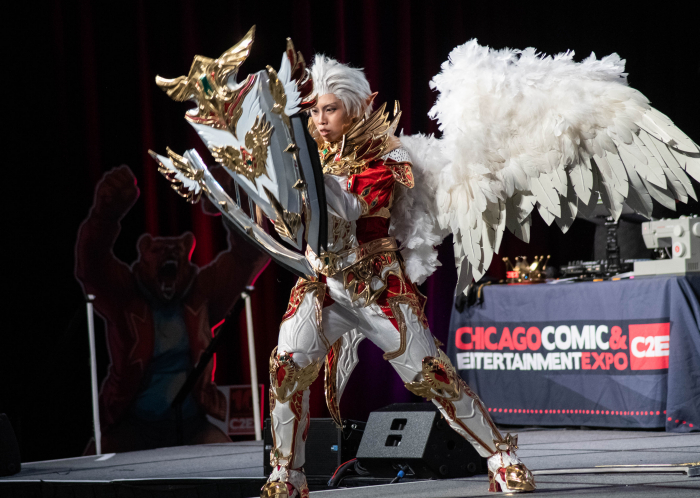 Each of these individual cons have competitions to see whose costume takes top honors, and the winners then show up in Chicago for the final judging. 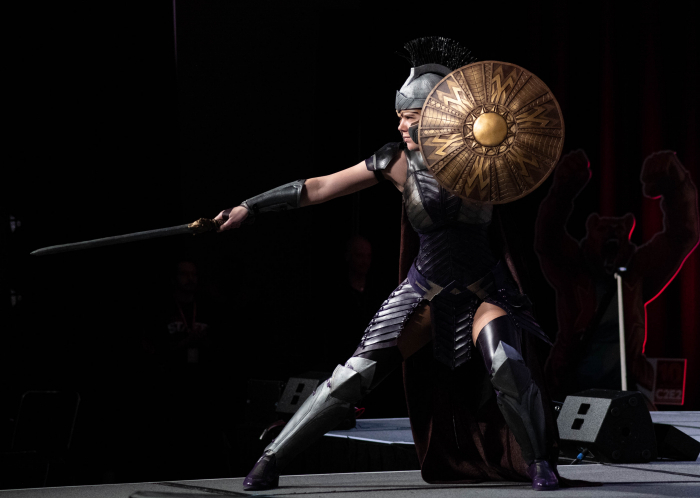 Judging can be intense, with every detail making a difference. 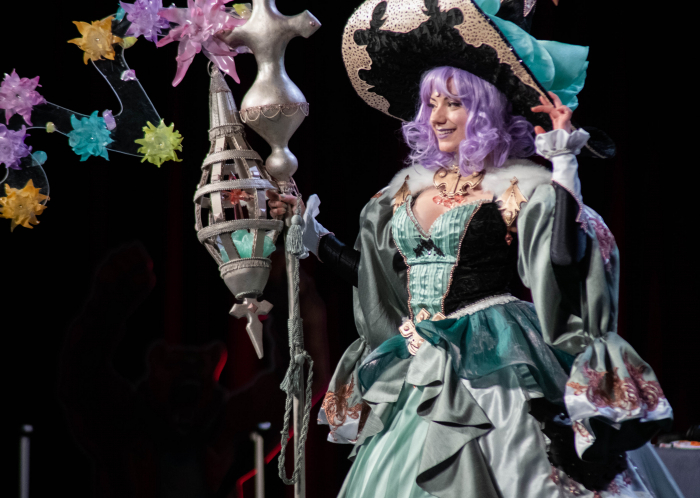 Craftsmanship matters, and winners aren’t simply those that create the most ostentatious or enormous showpiece. 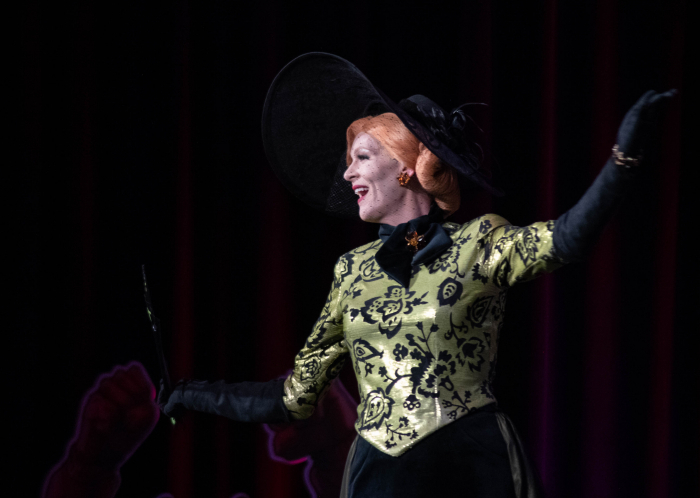 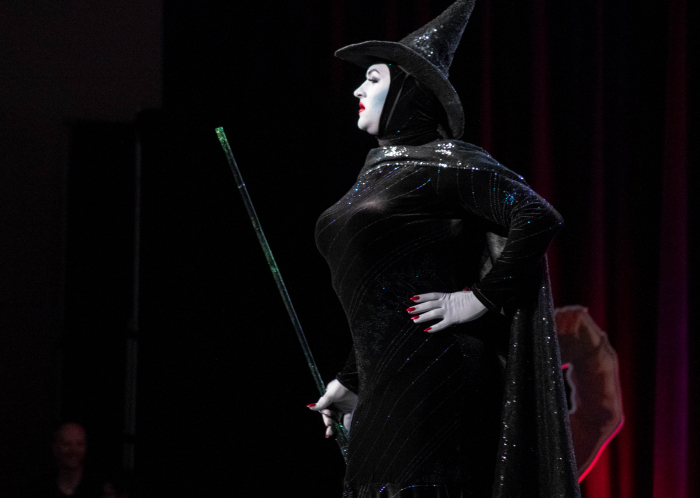 Each stitch should be secure, both for prejudging and on show night, the costume should be true to the character, and presentation can make a difference. 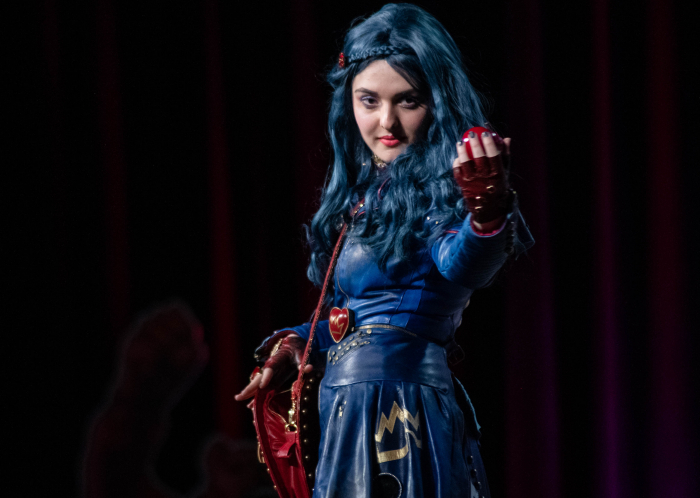 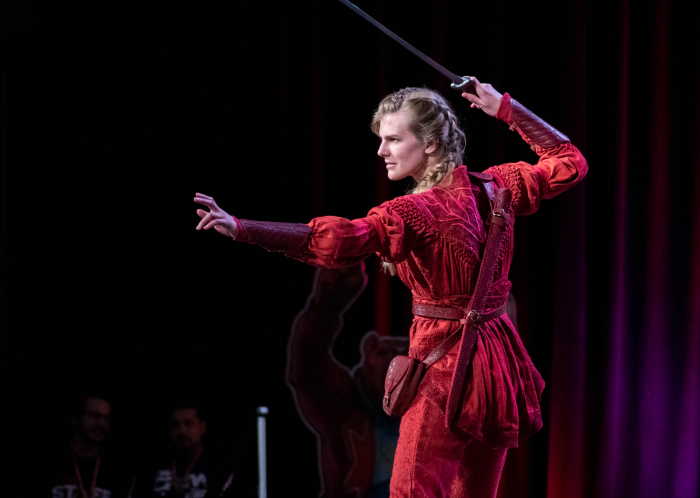 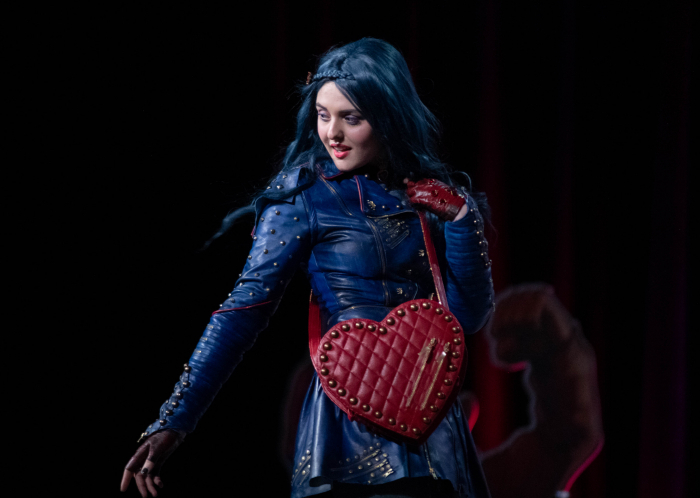 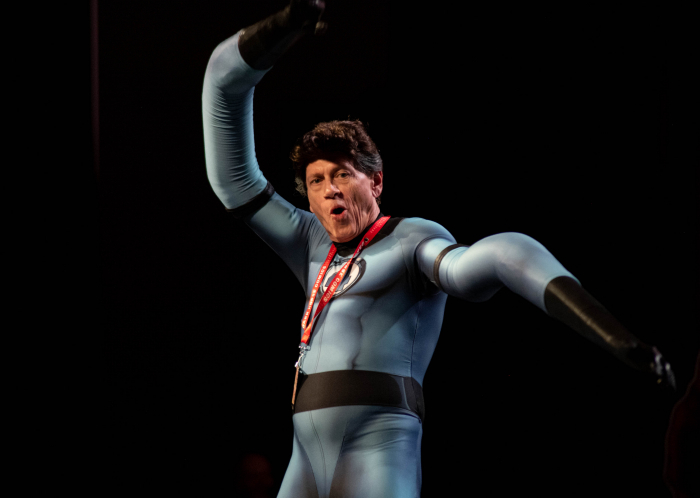 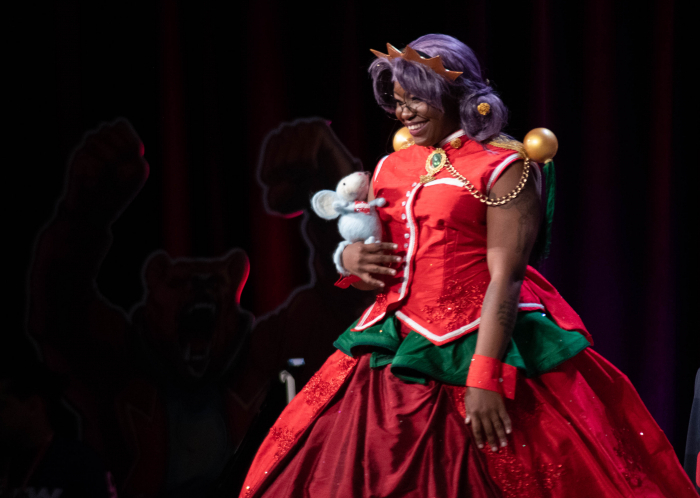 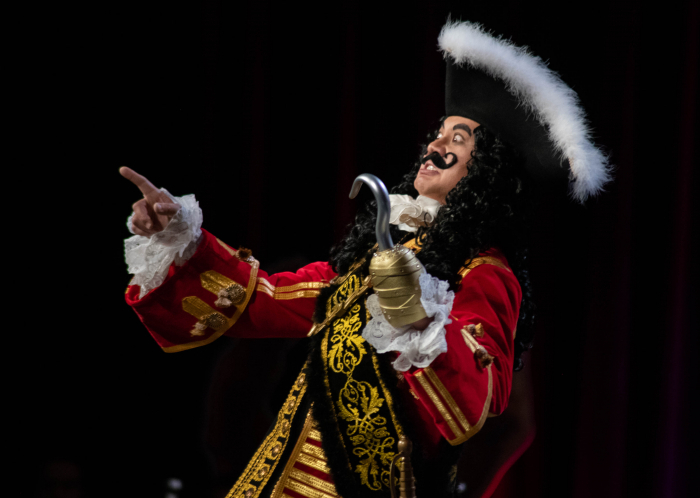 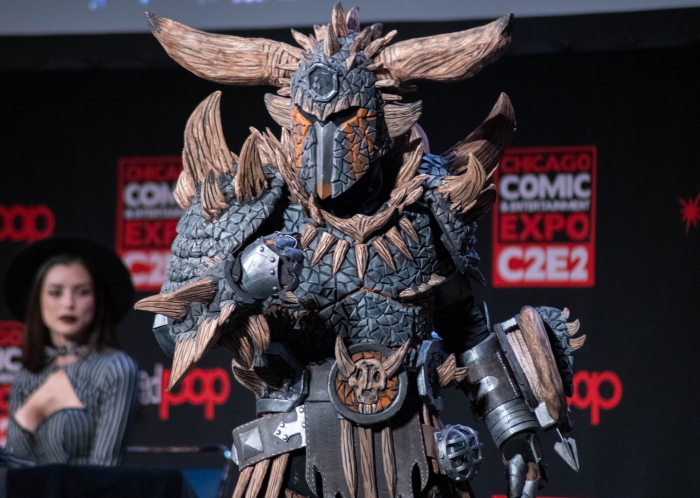 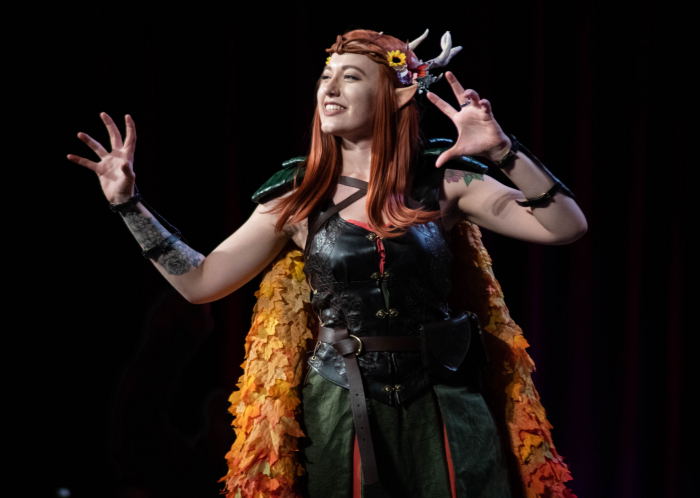 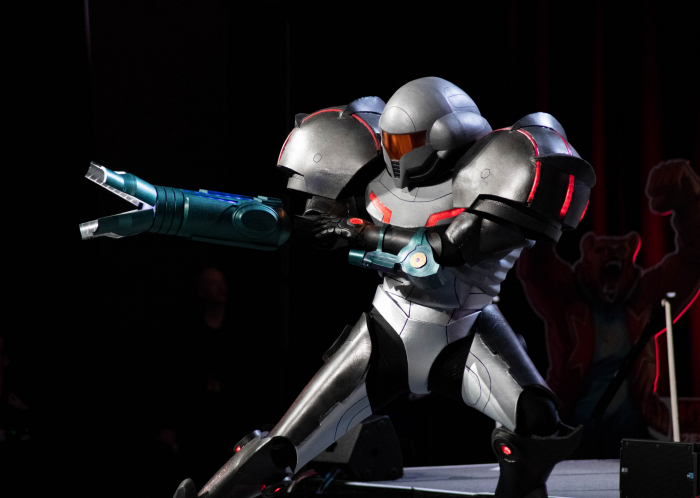 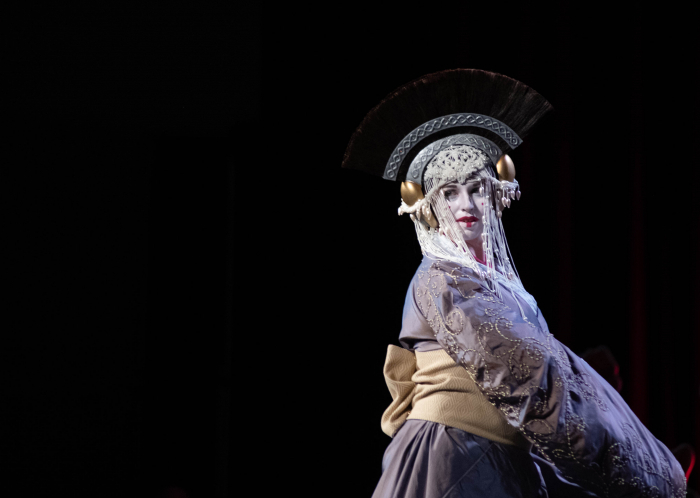 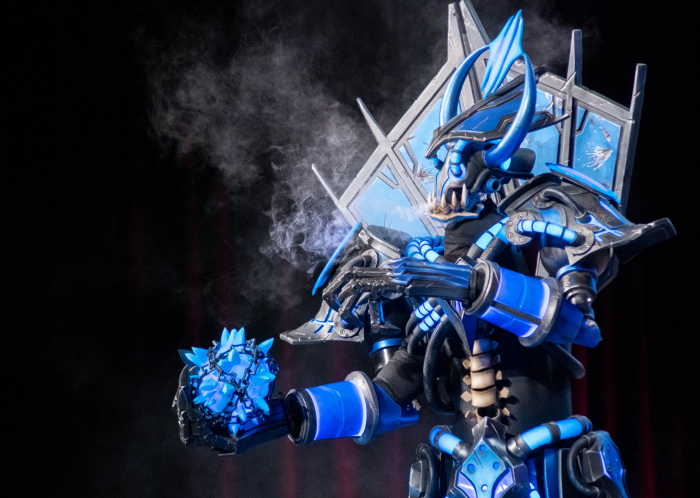 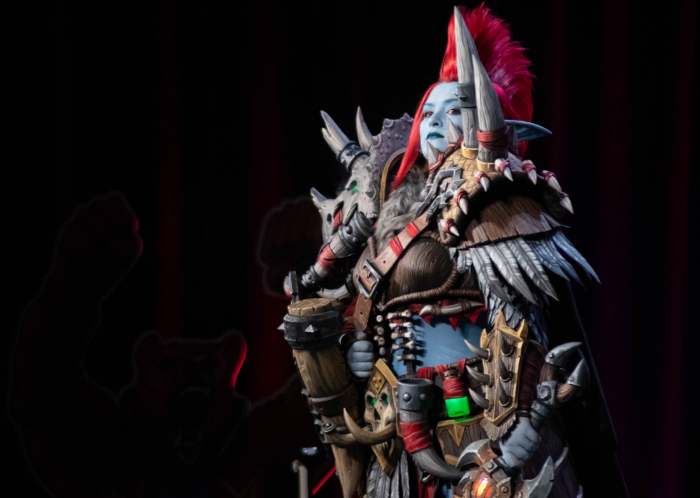 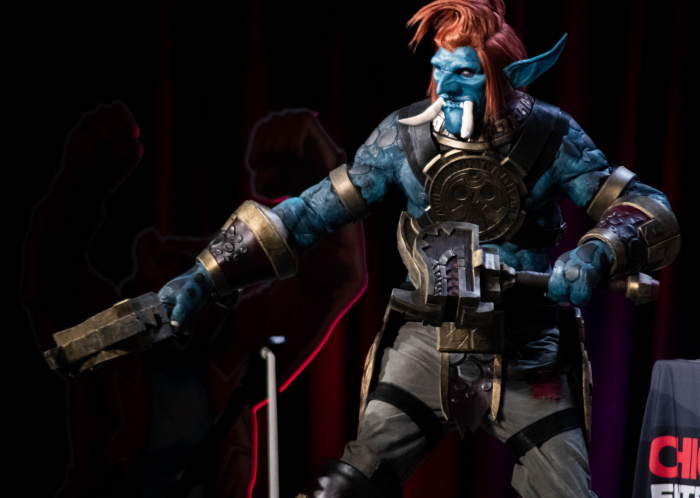 That means that when you get a ticket to the C2E2 Crown Championships of Cosplay, you’re seeing some of the best cosplayers in the world putting their most meticulous work on the stage hoping to take top honors. 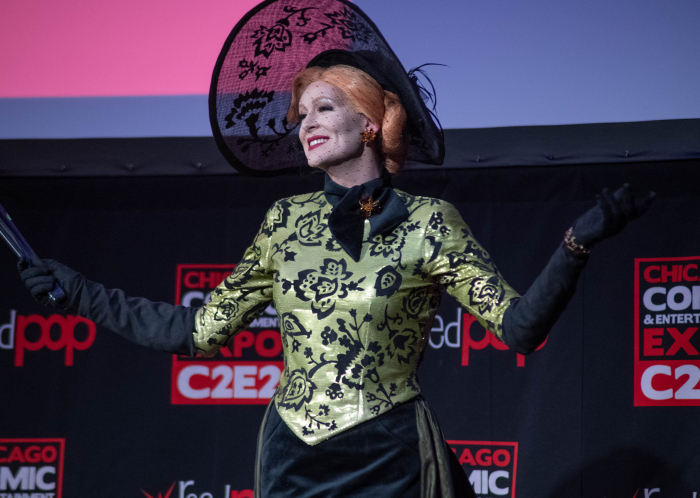 It’s an honor for attendees, competitors and Chicago in general. 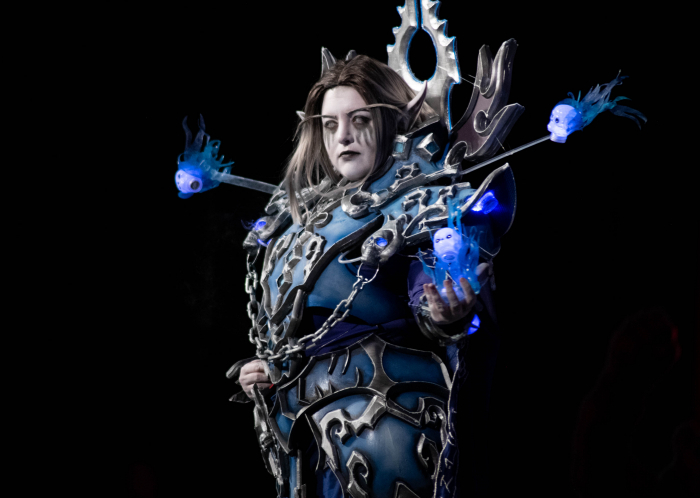 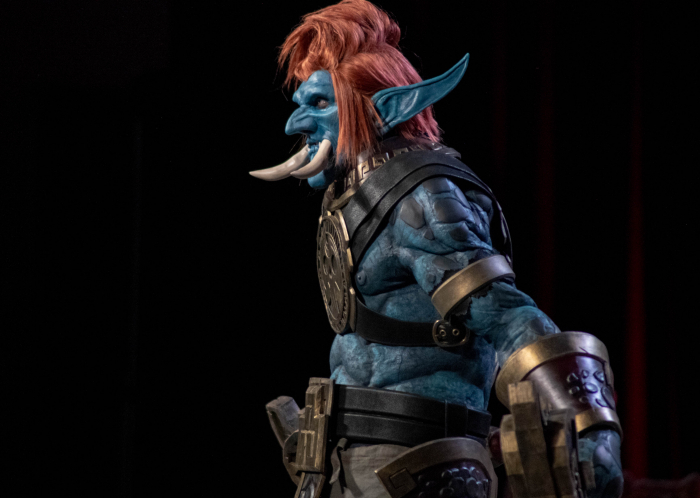 If you missed it, though, today is your lucky day, as photographer Aaron Cynic was on hand to capture some of the amazing work of these cosplayers for you to enjoy!